HUMPTY DUMPTY AND NIGERIA | Thoughts of a Calabarboy. 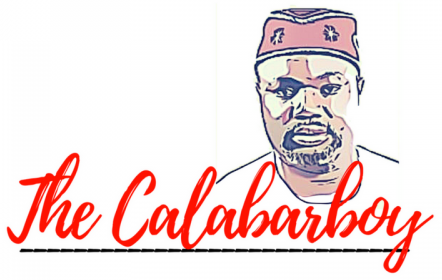 HUMPTY DUMPTY AND NIGERIA – Thoughts of a Calabarboy. That was my favourite nursery rhyme, and the only one I seem to recall every time I look back to my kindergarten school days. The picture on the wall that accompanies its recital in class was particularly striking and a great visual aid in keeping alive the imagery in my little heart. An egg with a black suit and a bowtie wearing a top hat and sitting on a little wall, Mrs. Nkuda will point her very long ruler at the picture, and occasionally tap at it as we all screamed out the lyrics line by line. But the most interesting part of all was when we were made to act out the wall sitting of Humpty Dumpty. When we get to the part where he falls, we all collapse on the ground, and then stood up to gladly repeat it, except for Emmanuel who was the class “puff-puff”. He had a problem standing up, so he never bothered hitting the floor like the rest of us. When I got done with my Junior Secondary promotion exams, I had my dad visit us in Calabar. I love it whenever he comes because his friends would visit and they would talk till late at night, and he usually permitted me to stay around him when high profiled and complex issue were discussed. On one particular day, I heard my dad reference this special rhyme as an analogy while talking about Nigeria. He said something like the leaders not being able to put it back together after the independence. That is all I recall from his discussions, as they were filled with lofty words too hard to keep up with, and I guess I slept off; it was holidays anyway. But now, having finished my Senior Secondary Certificate Examinations with a lot of time in my hands, I am trying to keep a journal of things that come to my mind, and I keep remembering what my dad said about Nigeria three years ago. What did he really mean, and how did he come to refer to Nigeria as Humpty Dumpty? I have really been thinking hard and sometimes I have jokingly asked some of my friends if Nigeria can be referred to as Humpty Dumpty. While we all laugh at the idea, I still give serious thought to it because of the realities I see in my country. I love Nigeria so much but I keep wondering why everyone talks about how good it used to be and how bad it is now. Was there a time when we never had problems with electricity? I believe this is so because my dad and uncle always recall those days. As far as I can remember, I have always had to light a candle, and I have become creative in many ways with a candle stick. I can transform it into something else other than an illuminating object. So I wonder what we will do with our candle sticks, and our lanterns or the generator if we had light all the time. Perhaps I would have other uses for them, but I do think of these things. As far as I can remember, since my mummy connected a new pipeline for water, it worked for like one year and after that I have never seen water come out at all. But I enjoy my wheelbarrow ride to fetch water at the tap at Garden Street. At least I will meet Edem and Sammy there and we can sing the choir songs together. I cannot relate to what older people keep complaining about and I really hope they are wrong that Nigeria was better than now. However, one thing I am really troubled about in this country is why we simply cannot leave together in peace. Only last year, see how many people died in Jos because they said there were differences between Muslims and Christians. I don’t agree with all my friends in school as far as I can remember, but I also don’t kill them. My mum and dad come from different places and don’t belong to the same church. How come they are not fighting? My dad and Alhaji Baguda are very good friends and plenty other Muslims as well. I have never seen them even quarrel; talk less of fighting or killing. So why are people always fighting, killing, and burning houses because they don’t come from the same place? I am even more worried because when I really look at it the people in Benue State are not killing people who come from another place. Or maybe they come from another village. But come to think of it, can we all come from the same place? It will be funny if we were all Efiks, Ibos or we were all Yorubas or Hausas. That will really be bad because there won’t be Amala, which I like so much, or the Tuwo which I eat in Alhaji Bagudas’ house. How can I keep eating only Garri and Afang soup all the time? That will just be so horrible. I like to watch the Atilogu dancers perform, especially the young guys that somersault. If everybody came from my place, I guess I will never see those young guys display their talent. Men! It is going to be so boring and uninteresting as I would not have another language to learn. I really enjoyed my French classes and my Ibo classes in school (although I hated that mean Ibo woman teaching us in SS1). Things would be very different from now I think and we will all not be as happy as we are now. So I just cannot understand why people fight and kill themselves. Maybe this is what daddy was talking about that we have become so broken in our identity as a country that it is hard to put us together again. Maybe we have fallen from the wall of unity and now we are scattered all over the ground in disunity. Maybe the kings’ horses and the kings’ men in the rhyme are talking about our leaders in this country. Maybe it is because these leaders have not been able to resolve all the fighting going on in the country and we seem to be further divided as the years go by. But it shouldn’t be this way I know. This is because if we can marry someone from another place or become friends with someone of another religion, then we should be able to live in peace with one another. It cannot be because we are different that is why we fight. It must be something else like greed or misunderstanding, or maybe even the devil. It is not a hard thing to live together happily I believe, if we just learn to understand others very well and help them all the time. Sammy is a Yoruba boy, but he helps me all the time and I help him too, and we are very good friends and will remain so forever and ever. This is still very hard for me to understand, but I will ask daddy to explain when I see him in Lagos. Mummy is calling me, I have to go. → JOBLESS BUT NOT WORKLESS! Thank you Justina, I am sure we’d work together to make it better. Nice piece! Nigeria always had problems, but it did take a turn for the worse not so long after we discovered oil. As a people we are still collectively warm, brilliant, and welcoming. But our national culture changed in the very late 80’s. That’s when money overtook education as a status symbol. Before that you had terms like “money miss road,” etc, where your social class was relatively low, if you were rich without an education. Seems like went through a cycle of greed, but today we are on the rebound. Because despite all the lamentations, there’s a strong core of very enterprising and succesful Nigerians. All our issues will not be resolved in a day, but at least the national psyche is changing again for the better. You’ve done it once again. Amazing post! Even with the whole lot that happened, Ghana is literally a gifted state. That is a point which is difficult to be contested.